I love the last thirty pages of a novel. If you’re reading via conventional means (i.e. a book made of paper) you can visibly see the end of the book coming near, but you can also feel it. I love the gallop, the race toward the end and then the finish. Whenever I finish a book I am simultaneously happy and sad; glad for such a good thing to exist in the world and simply sad that it’s over. That’s why the second I finish one book I immediately pick up another. No need to let that misery stew when there’s so much content going unread. 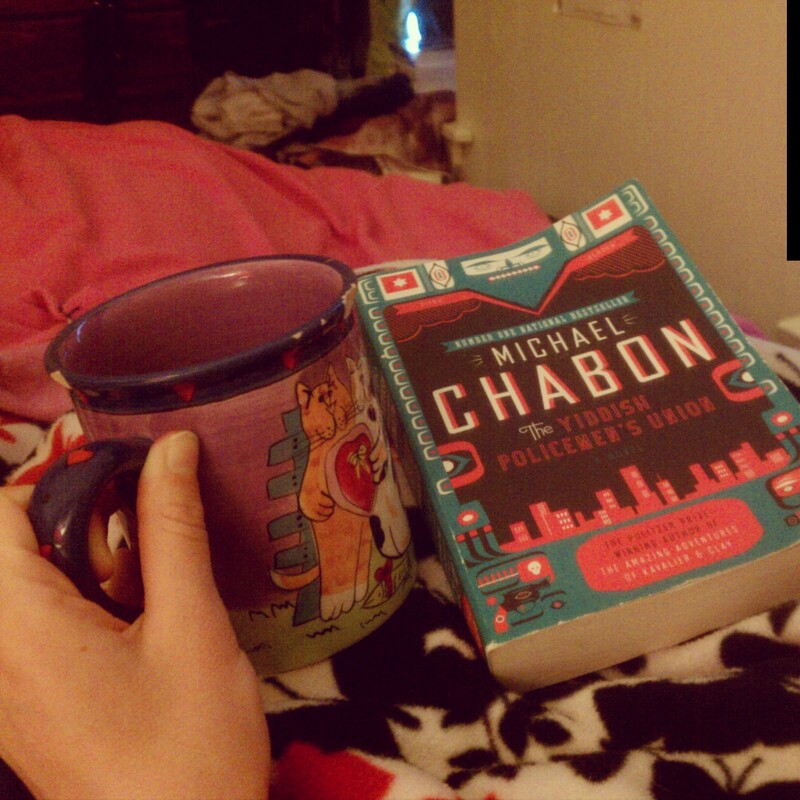 I just finished Michael Chabon’s The Yiddish Policeman’s Union this snowy afternoon; an afternoon I thought I would have to be at work, but the weather gods deemed fit to declare what is likely the last snow day of this abysmally snowy season. Chabon’s novel is a thought experiment. What if after WWII instead of that whole business in Israel, the European Jews relocated to Sitka, Alaska and developed a thriving community, almost sovereign? The novel follows Detective Meyer Landsman of the District Police of Sitka, the looming reversion of the District, and the murder of a man in a crummy hotel room.